Sergeant Cecil Anderson’s three wars. Cecil Charles Anderson was an Aboriginal soldier born on either 16 May 1923 or 1924 depending on which war he was enlisting in. His mother was Lydia Magee (nee Tripcony) and his father was also named Cecil Charles. Cecil did time in the Margaret Marr Home for Boys in Wynnum in the 1930s and when he first enlisted in 1941 named his guardian Matron Mary Lewis as next of kin. However when he re-enlisted 2RAR in 1953, he named his mother. RAAF veteran Frederick Walton Lippiatt (1923-2011) was a contemporary of Anderson’s at Wynnum. Lippiatt’s obituarist recalled him talking of ‘the hardships during the Depression years for the boys of the Margaret Marr Home at Wynnum, including tales of floggings by the master and searching the bins at the local school for the buttered crusts more affluent children left uneaten. And he would talk of the joyous occasions such as Christmas, when the boys would sing carols.’ (Brisbane Courier Mail, 18 Nov 2011). The Margaret Marr Home for homeless boys was run by the Methodist church and opened in 1924. It was used as accommodation for the RAAF Radar Station No 23 1942-45 and closed in 1974. Anderson was working as a station hand when he enlisted, claiming to be 18, on 24 May 1941 in the 11th Light Horse Regiment, and he was called up for full time duty on 30 December. He served with 11 Motor Regiment, and committed the usual indiscretions of a young militia soldier. Someone made a pencil notation on his record, indicating that he was actually born in 1924 – and so could enlist for overseas service in the AIF which he did (QX 37751) on 18 July 1942. On 19 September 1942 he was sent to the Guerrilla Warfare School at Wilsons Promontory in Victoria and was posted to the 2/2nd Independent Company on Christmas Day 1942. The 2/2nd was the legendary outfit that with the 2/4th Independent Company fought a guerrilla war against the Japanese on East Timor until its withdrawal in December 1942. After a short period of recuperation and reinforcement the 2/2nd was posted to New Guinea as part of ‘Bena Force’ that operated during 1943. Bena Force was so-named because it was based around Bena Bena, a spot in the Central Highlands south of the Ramu / Markham River behind Lae. In 1943 the Japanese were still established on the coast at Lae, Salamaua and Wewak but Australians were increasingly active inland. 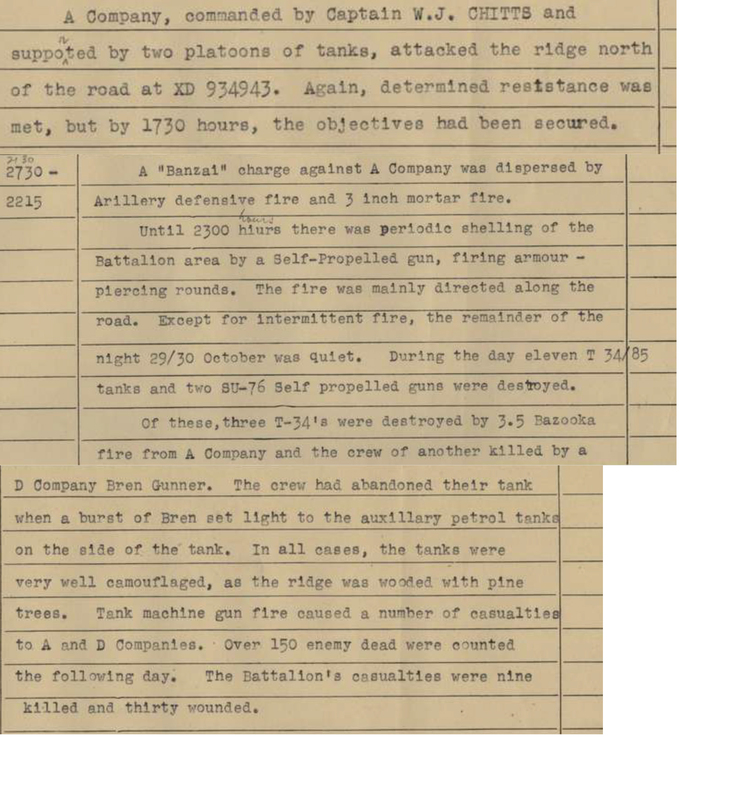 The Independent Companies saw extensive action in 1942-3, including the 2/5th at Wau/Salamaua and the 2/2nd, 2/6th and 2/7th in the Ramu/Markham valley between Finisterre and Bismarck ranges. By 1 August 1943 all of the 2/2nd had flown into Goroka (a 6000 foot long airstrip equipped with radar and anti aircraft batteries had been constructed in 7 days) with orders to patrol south of the Ramu. And patrolling was they did – there was little if any opportunity for large-scale action. On 27 September 1943 Dexter led a section of his A Troop on a heavily armed patrol to attack the Japanese camp at Kesawai across the eight streams of the wide Ramu River. Crossing the Ramu was almost as dangerous as the enemy himself, and involved swimming a rope across, and then pulling canoes laden with men and hoping to keep weapons dry. At night. Bena Force was disbanded on 8 October 1943 and the 2/2nd came under the direct command of 7 Division and was tasked to protect the Faita airstrip and patrol a huge area along the Ramu/Markham Valley. The 2/2nd finally left New Guinea for Townsville in October 1944, had 90 days leave, and was then sent to New Britain where it was in action until the end of the war. In all, including Timor, the 2/2nd lost 48 men. Anderson was discharged from the AIF on 6 June 1946 and worked as a fencer, ironworker, brewery hand and trawler-man until he volunteered for service in Korea on 29 July 1950. Posted to 3RAR he arrived in Korea on 28 September 1950 and served until 14 January 1952. 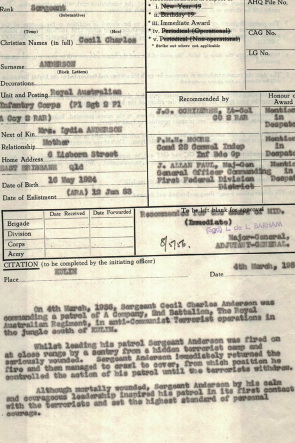 Private Anderson was badly wounded on 29 October 1950 at Chongju, evacuated to Japan and then Australia, rejoining his battalion on 16 May 1951. Private Anderson was a member of A Company. Next day, Lieutenant Colonel Charlie Green was fatally wounded. 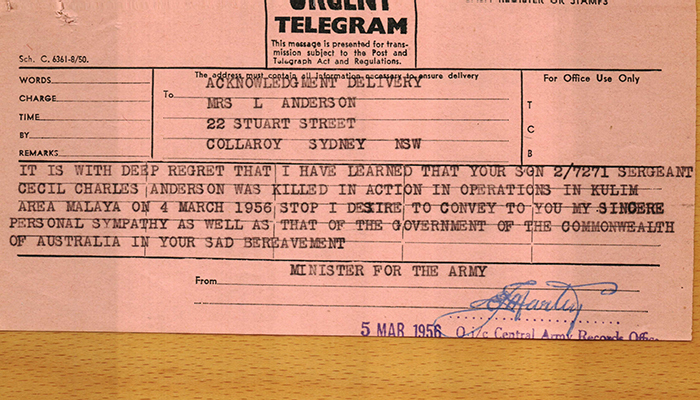 Private Anderson served with 3RAR until February 1952. He was likely at the battle of Maryang San in early October 1951 – described as the ‘probably the greatest single feat of the Australian Army during the Korean War’ by official historian Robert O’Neill. Anderson was evacuated by the splendid 60 Indian Field Ambulance with ‘fever’ on 14 November, and then had three weeks leave in December before he was placed on the unallocated list on 23 February 1952. Anderson was an instructor with 19 National Service Training Battalion in January 1953 and was posted to 2RAR on 10 December 1954. 2RAR arrived in Penang on 20 October 1955 with my uncle the Melbourne Herald’s special correspondent with 2 RAR. They had sailed on the Georgic from Brisbane, with the battalion mascot Private Wild Dog on 8 October. First shots were fired when 2 RAR began patrolling, looking for the hard to find communist bandits on the mainland Malaya in January 1956. BY the time 2RAR arrived the outcome e of the Malayan Emergency was not in doubt, though there were still a number of terrorists operating in northern Malaya, often from bases across the border in Thailand. Cecil Anderson would have known all about patrolling in the jungle looking for an elusive enemy. On Sunday 4 March Turner filed a story that the first Australian soldier had been killed in action in Malaya. Although he couldn’t name him that day, it was Sergeant Charles Anderson. Terrorists killed a sergeant of the 2nd Battalion in a jungle battle here this afternoon. As the sergeant lay dying on the ground he gave orders to his men and then fired on the terrorists’ positions. Forty minutes later another Australian patrol caught the fleeing bandits and killed one and wounded two. The sergeant came from Sydney. His name and address have not been released for publication yet. The action began this afternoon as a patrol of a dozen men led by the sergeant stumbled on the terrorist hideout in the dense Bongsy jungle. The sergeant was 15 yards in front when two rifle shots rang out. He fell. As the rest of the patrol moved forward to his aid the Communists opened up from their hidden positions with rifle, carbine and Sten fire. The sergeant coolly continued giving orders to his section commander. In a last effort, the sergeant raised himself and with two shots from his rifle he joined in the fire on the terrorists’ positions. They charged the terrorist camp but the terrorists had fled. As the troops carried their sergeant back along the trail they fired shorts to warn another patrol. Platoon commander Lieut. Alan Lapham, from Perth, sighted six terrorists. He and a Bren-gunner, Private K.J. Pots, from Brisbane, opened fire, killing one terrorist and wounding two more. One had three bullets in him. Both the wounded fled into the jungle. The dying sergeant was carried back 1000 yards through the jungle on a stretcher made of rifles and ground sheets. At a stopping-point on the jungle fringe, a padre administered the last rites. He will be buried with military honors at Taiping Cemetery tomorrow. An Australian patrol speedily avenged the death of one of their sergeants when they killed one Communist terrorist and wounded another in a savage gun battle in Bongsu Forest. He was Sergeant C.C. 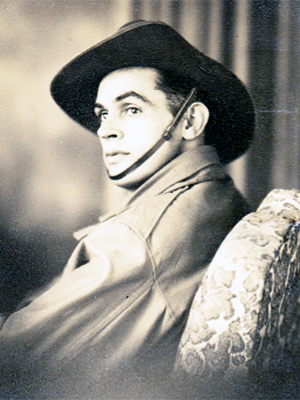 Anderson, of East Brisbane, who enlisted in Sydney, where his fiancée lived. A 12-man patrol was combing the jungle for an 80-man ‘hard-core’ terrorist gang, when it stumbled on a bandit camp. Six terrorists opened fire, and the sergeant was hit by the first burst. A second Australian patrol joined in, and after a 45-minute battle the terrorists withdrew, leaving one dead. Soldiers said they believed one or two terrorists were wounded but escaped. The dead terrorist was Chi Yong. The Australian, who was shot in the chest, was carried back to base 12 miles away, where he died soon after. He was buried with military honors at Taiping Perak, this afternoon. He was the second Australian to die since the 2nd Battalion, Royal Australian Regiment, arrived in Malaya last October. The other was accidentally shot. 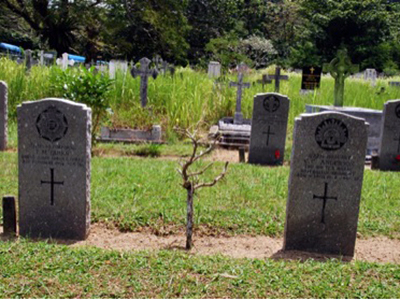 Taiping: The 24 year-old Queenslander was buried in a setting of tall evergre4en trees at Taiping cemetery this afternoon … On the cortege lay his Digger hat and the Australian flag … A bugler of the Second Battalion played the last post. Sergeant Anderson was recommended for the immediate award of Mention in Despatches. ‘Unless Australia played a bigger part in improving educational standards in Malaya the anti-terrorist campaign would never stop the spread of Communism in the country …we need to do something dramatic. Australia should launch a specific campaign to reduce Malaya’s 40 per cent illiteracy…. The Communists realise that where war fails subversion will win. Australian troops are doing a magnificent job in gruelling conditions. They are probably faced with the most frustrating campaign in which Australian troops have been engaged. ‘Our men are not getting the treatment they deserve from the Government. 2RAR eventually left Malaya in October 1957. The Malayan government officially declared the Emergency over on 31 July 1960, though 1RAR remained in Malaya until October 1961, when 2RAR returned for a second tour, completed in August 1963. Thirty-nine Australian servicemen were killed in Malaya, 15 as a result of operations, and 27 were wounded. Laurence Turner (23.3. 1928 – 30.4.2007) was a journalist in Australia in the 1950s, and in England for 50 years for the Daily Mail and Mirror from the 1960s – and my uncle. His work undercover on the treatment of inmates in a mental hospital for The West Australian in 1950 brought about a Royal Commission, and recruitment by Sir Keith Murdoch for the Melbourne Herald in 1952. His by-lined pieces in the next couple of years were about adoption and mental hospital conditions while learning the trade on a big afternoon daily. In February 1954 he held Press Pass No. 88 for the Royal Visit and in July was off to the 9600 mile round Australia Redex Reliability Trial won by Gelignite Jack Murray in 1948 Ford Mercury. He was ‘with the Australian troops in Malaya’ 1955-6. In 1957 Turner moved to London and worked for the Daily Mail in the 1960s, and later for the Daily Mirror.